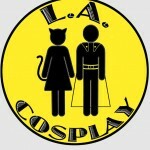 Los Angeles Cosplay Contest » ANIMErican Idol! Audition This Sat. winning act gets referral to major j pop agents as well as a possible recording contract. please audition in full costume – and bring your own instruments or CD accompaniment. Hello I’m interested in the concert but I don’t think my band will get the customes on time, so is it ok if we don’t wear a cosplay?. That’s another question, are bands allowed? sorry we couldn’t connect! But if you’d like, just send us your demo to 11240 Magnolia Blvd., #204, NoHo, Ca 91601.
also COME TO THE EVENT! There will be a lot of surprise guests – and after the show, just come ask for Kaz (me).